Debbie Kay Sellers, age 64 of Belle, passed away on Saturday, February 9, 2019, at the Frene Valley Nursing Facility in Owensville. Debbie was born March 13, 1954, in Rolla, a daughter, to James and Nancy (Haas) Sellers. Both survive of their home in Belle. Debbie had been an area resident for 35 years following her parents move from Rolla. She was a member of the First Baptist Church in Belle and proudly received her diploma from B.W. Robinson in 1975. 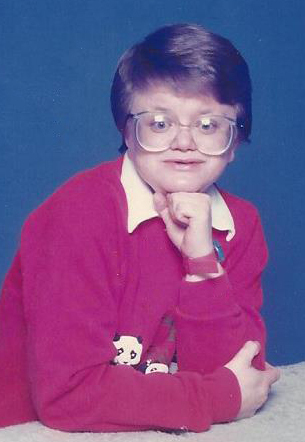 Although born with a mental deficiency, it did not keep Debbie from an active, and spirited life. She was a great bowler and loved being in the Wednesday Early Bird league in Rolla where she held a 156 average. Debbie received many awards and trophies for her bowling throughout the years. She loved her St. Louis Cardinal baseball and her Nascar. Dale Earnhardt, Jr. was her favorite driver and boyfriend according to her. Debbie liked country music and was a Pepsi-aholic. It was her favorite drink and hard to keep her from drinking one if she wanted it. One of her favorite things to do was buy a plastic ball from a store and pop it, much to her family’s amusement. Debbie had a huge heart and was very close to her nieces and nephews. Her spirit and her love for all will be missed greatly by those that knew her. In addition to her parents, Debbie is survived by: one brother, Chris Sellers of Belle; one sister, Cindy Maxwell and her husband Larry of Rolla; four nephews, Christopher Sellers, Kyle Sellers, Travis Maxwell, and Brandon Maxwell; three great-nephews, Chase Sellers Cruz Sellers, and Desmond Maxwell; and one great-niece, Sophia Maxwell as well as many special aunts and uncles, extended family members and friends. Debbie is preceded in death by her paternal grandparents, James R. and Mildred Sellers and her maternal grandparents, Ferdi and Flossie Haas as well as her step-grandmother, Dollie Haas. Visitation will be held on Wednesday, February 13, 2019 at Sassmann’s Chapel from 11:00 a.m. until 1:00 p.m. Funeral services will follow at 1:00 p.m. with Dennis Spurgeon and Robert Trigo officiating. Interment will be in the Ozark Hills Memorial Gardens in Rolla. Expressions of sympathy may be made to the Special Olympics of Missouri.